What a wonderful way to wrap up our season! 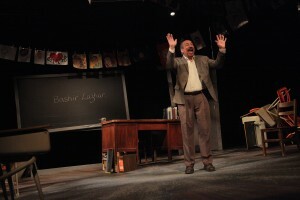 The closing weekend of Bashir Lazhar brought sold-out houses to a poignant piece put on by fantastic artists. Bravo to our team, and thankyou to our patrons and sponsors. We would like to extend a special thanks to our season sponsors: The Winnipeg Foundation, Assiniboine Credit Union, Taylor McCaffrey LLP, Peerless Garments, The Winnipeg Free Press, Relish Branding, Amphora Imports, New Bothwell Cheese, and Half Pints Brewing.